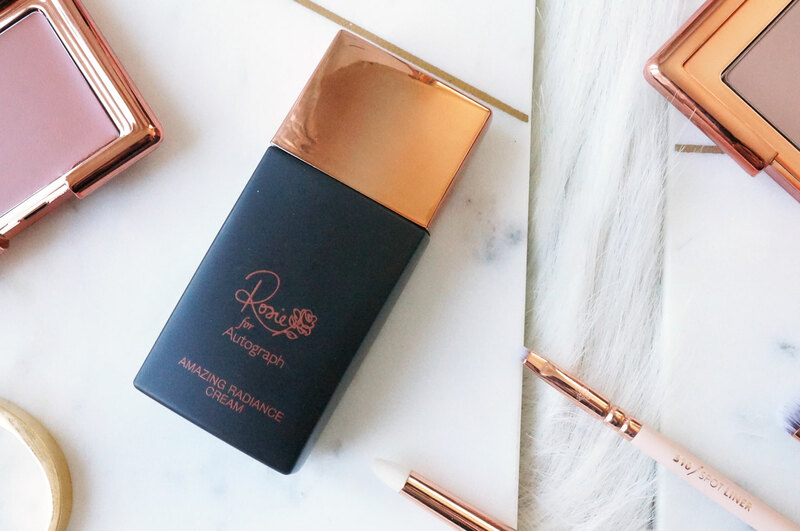 The exclusive Rosie for Autograph make up range has been developed in collaboration with Rosie Huntington Whiteley. Combining Rosie’s make up tips and secrets with high quality ingredients, this range is developed to deliver amazing results. 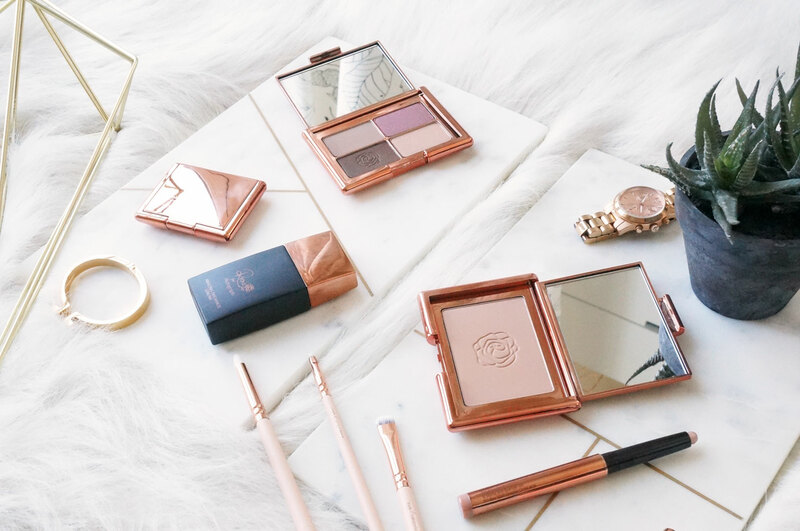 Inspired by Rosie’s career as a model, actress and her love of vintage, at the heart of this exclusive beauty collection lies Rosie’s natural, glamorous look. 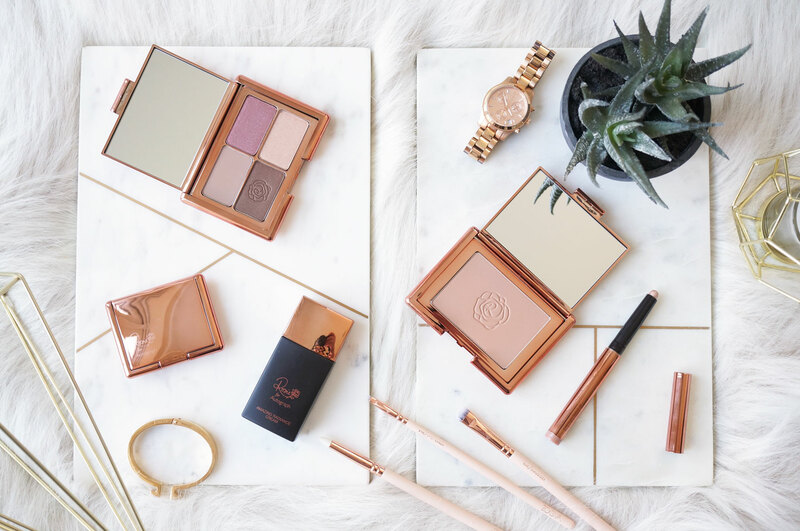 The collection contains a massive range of colour products, including pretty much everything you can imagine – there’s a lovely selection of eyshadow palettes, products for highlighting and bronzing, some gorgeous looking lipsticks, and a lovely collection of fragrances. It’s also worth mentioning that this range of products is ‘Made with integrity‘, with neither the products nor their ingredients having been tested on animals. 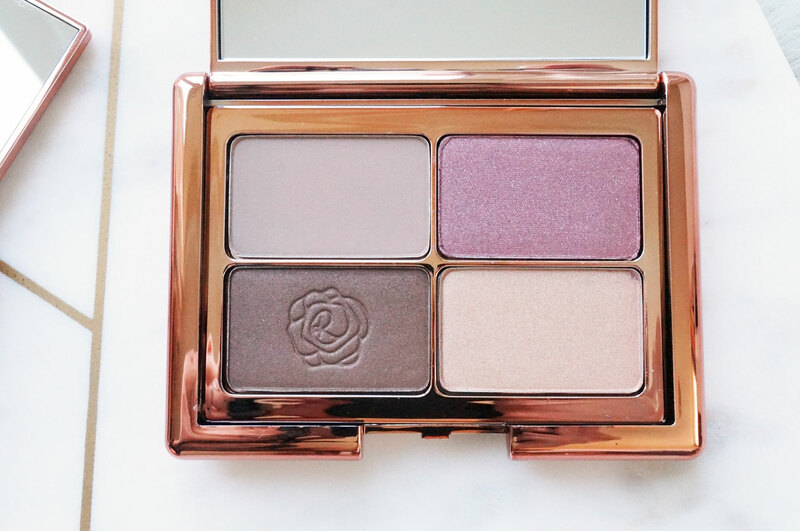 Starting with the Eyeshadow Palette (£18.00) – there are four options available of this eyeshadow quad, all with neutral, easy to wear shades – I have Copper Gold Rush, which includes a light muted lilac matte shade, a mauve pink shimmer, a mid coffee brown cool toned shade, and a light creamy pink. The formula of the shadows is fine and creamy, and they really do apply and blend like a dream! 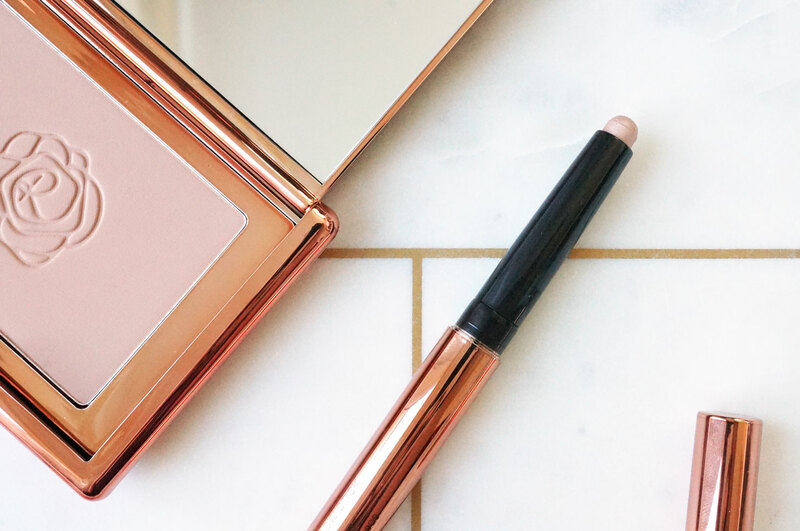 Next is the Cream Blush (£14.00) – this is described as a silky soft weightless cream blush, that blends and builds easily to an undetectable powder finish – and it does exactly that. It has a wonderfully creamy velvet texture, that applies like a cream but gives a powder finish on the skin. 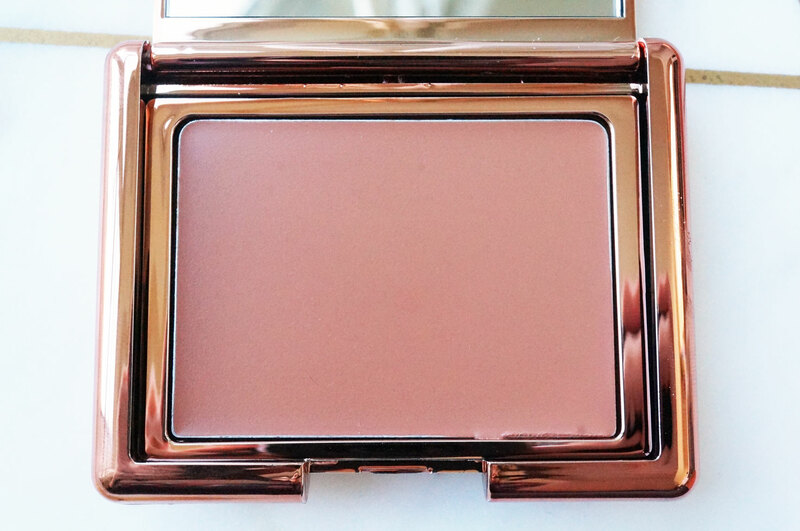 I have the shade Camisole Blush which is gorgeous muted peachy coral, perfect for summer. The Amazing Radiance Cream (£18.00) is a light weight, brightening cream created to add instant radiance to your complexion. Much like a strobe cream, or even a brightening moisturiser, the Amazing Radiance Cream gives a hint of glow and sheen to the skin, perfect for adding luminosity before applying your foundation. 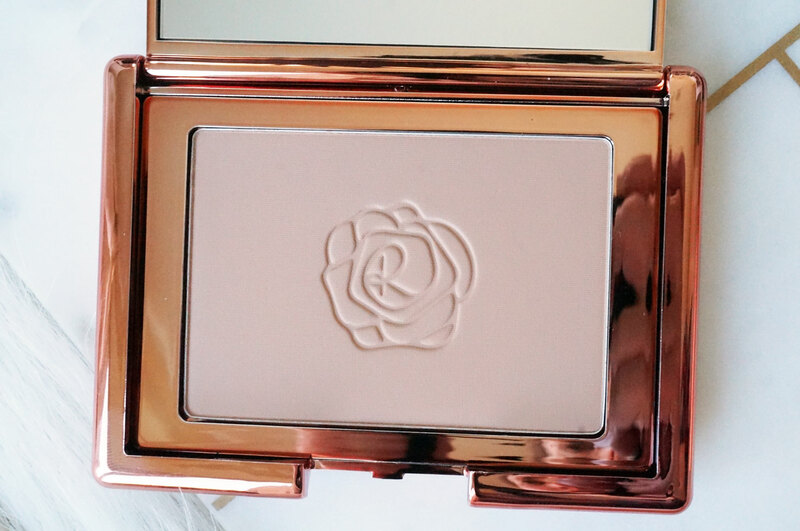 I should just point out this has a very light, easy to wear texture, and you can easily wear this on it’s own, or under foundation – this is a must have for a natural looking dewy glow. The Bronzer (£18.00) comes in two shades – Magic Contour, the lightest shade which I have above, and Bronzed Beauty which is slightly darker. Magic Contour is the perfect bronzer for very light to light skin tones – which can be notoriously difficult to find the right shade for. This product gives a really natural sun-kissed look to the skin, without making skin look muddy or orange. The formula is silky and soft, giving a slight soft-focus effect for a smoother looking complexion. And lastly the Cream Eyeshadow Stick (£12.50) again this comes in four neutral shades, I have Almond Eyes, a beautiful champagne beige shade with a metallic finish. It glides on the lid really easily with no tugging, and blends out to give either a sheer shimmery wash of colour, or you can easily build up the product for a more intense look. The finish is long-lasting and crease resistant. Overall it’s just a stunning collection, the packaging is gorgeous, as well as being fantastic quality, and the products are well worth their pricing. 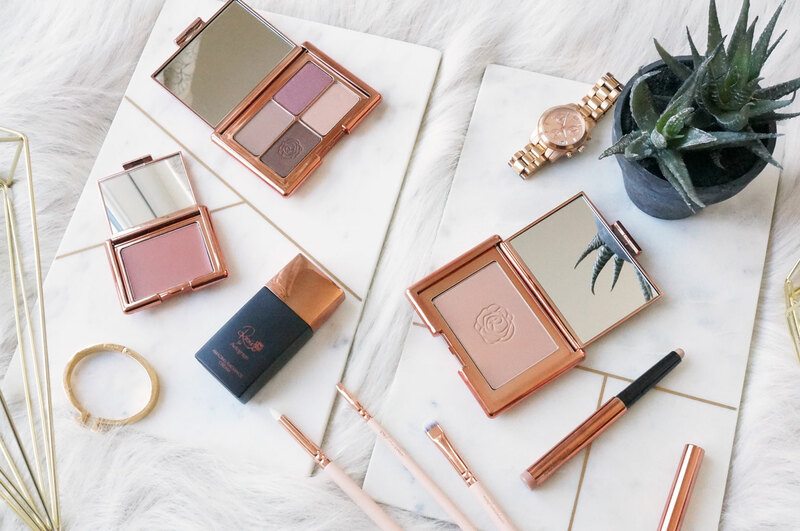 I can’t get enough of the Amazing Radiance Cream and Bronzer right now! You can shop the Rosie for Autograph collection now at Marks & Spencer. Wow, Amazing collection. I am going to add Amazing Radiance Cream in my makeup collection. Thanks for sharing such a excellent things.